Best-known proponent of the zapper is American researcher, Dr Hulda Clark, author of the confidently titled The cure for all cancers. The basic principle behind her work is that ALL cancers are caused by a combination of two factors – first that everyone with cancer has parasites, particularly intestinal, liver and pancreatic flukes and the common roundworm. The second factor is the presence of solvents in the body (through pollution of the food chain). Different solvents accumulate preferentially in different organs, giving rise to different diseases. Isopropyl alcohol, for instance, accumulates in the liver According to Clark; this results in the completion of the life cycle of the fluke in the liver, which establishes the malignant process. Clark claims that the removal of solvent from the patient´s body and environment plus the killing of the parasites and their larvae results in a “remarkable recovery”. The zapper is part of her regime to do this, as is an extremely stringent detoxification regime that is almost impossible for anyone not living on top of a mountain in New Zealand, and includes things like getting rid of pets and removal of fillings and sometimes teeth. The principle behind Dr Hulda Clark zapper is resonance. This is what happens when an opera singer hits a high note and a glass shatters. The same thing happens when you rub a finger around the top of a wine glass and it resonates. Just like the glass, all bacteria and pathogens have a frequency Clark´s research claims, “Any positive offset (DC) frequency kills all bacteria, viruses and parasites simultaneously given sufficient voltage (five to 10 volts), duration (seven minutes) and frequency (anything from 10 Hz to 500,000 Hz). A treatment cycle of three blocks of seven minutes, separated by 20-minute gaps is recommended. Clark recommends that users zap daily for two to three weeks and then once weekly thereafter. It is completely painless and most people don´t really feel much, although some report a slight warming of the bands. There has been no rigorous research done on the Clark approach and all the evidence is anecdotal. She claims to have “cured” 100 people of cancer with her methods before she went public with her theory, and over the past fifteen years has treated over 2,000 patients. 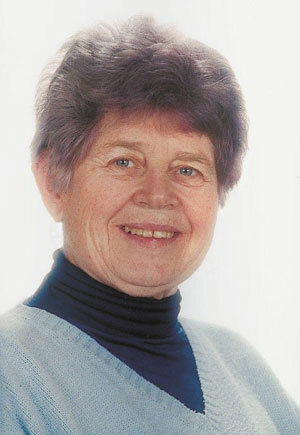 Dr. Hulda Clark passed away from cancer in 2009. She was not affiliated with any zapper maker and she did not endorse any zapper. The Dr. Clark Research Association uses her name and photos on their websites to promote their Super Deluxe 2006, Biowave generators and Gamma generators, which are actually frequency generators, not zappers. All zappers that are made are only based on research conducted by Dr. Hulda Clark. Supreme Zapper is not in anyway connected with her. I only made a zapper that is far superior any other on the market. My testimonials speak for themselves.